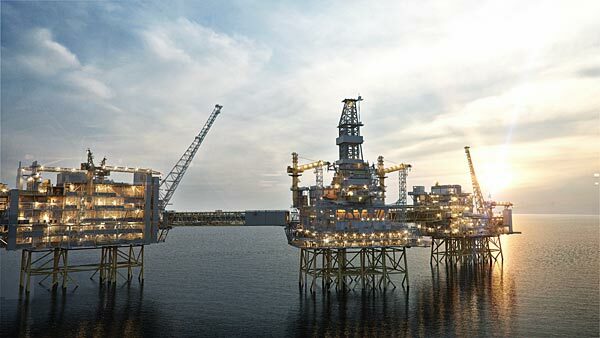 The Johan Sverdrup development is now nearly 70% complete, which is according to plan, and investment costs are continuing its positive trend. Phase 1 of the project is currently estimated at NOK 88 billion (capex numbers in nominal terms based on fixed currency), which amounts to a reduction of NOK 35 billion or close to 30% since the plan for development and operation (PDO) was approved in February 2015. “Johan Sverdrup is also benefiting from the drilling and well improvement programme in Statoil. We’ve drilled more wells than planned, more than one year ahead of plan, which has contributed greatly to cost reductions in the project. The wells also make our production plans even more robust and have improved our knowledge of the reservoir. Based on this, we are now able to increase the resource estimate for Johan Sverdrup further,” continues Øvrum. “The standardisation of equipment packages, copying of good solutions, and doing things right the first time – in collaboration with our suppliers – has been critical to the positive developments that we see in the first phase of Johan Sverdrup. In phase 2 we are taking this one step further, and we are starting to see the results of this”, says Kjetel Digre, project director for Johan Sverdrup in Statoil. A more streamlined operation and maintenance model, combined with increased use of digital and automated solutions, has also helped reduce estimated yearly operating costs by nearly NOK 1 billion or approximately 30% since the PDO was approved in February 2015. “Johan Sverdrup and its 50-year lifespan is a unique opportunity to think big and differently about new solutions. A lot of this – for example sensors that measure the condition of important equipment, or fibre-optic reservoir monitoring – are technologies that we implement from day one. However, it is also about equipping the field for possible future solutions that can further strengthen safety, efficiency and the value of the field over time,” states Digre.